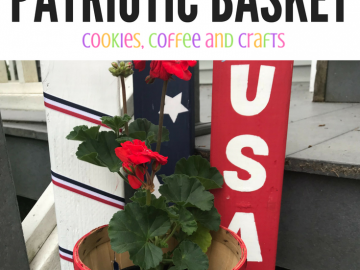 Wreaths are one of my favorite things to create and to decorate with. I’ll admit I have a wreath obsession. 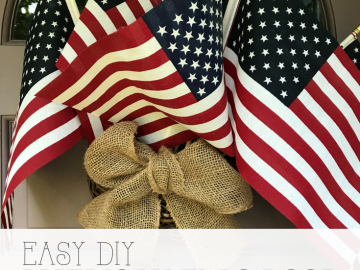 For this June Dollar Store Craft Challenge, I knew I waned to make a wreath. 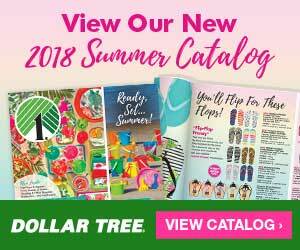 My blogging friends and I are participating in a June Dollar Store Craft Challenge Blog Hop. 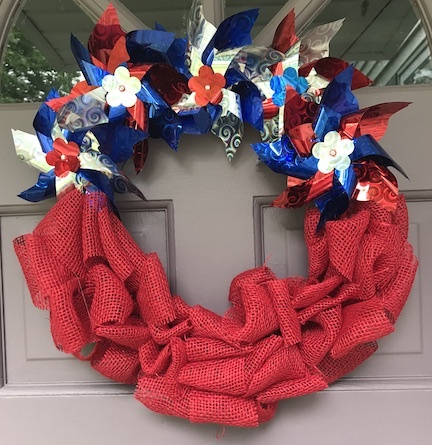 The Dollar Store has awesome supplies to make wreaths. 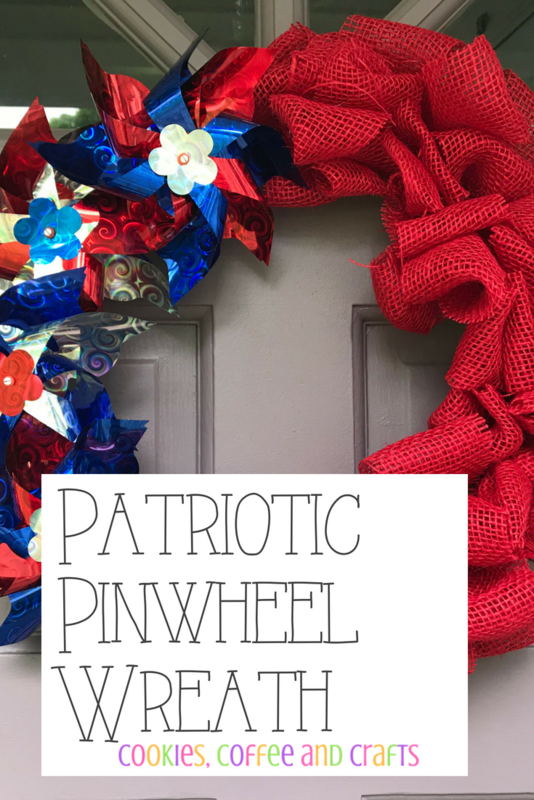 For this wreath I decided to combine my love for burlap and my munchkins love for pinwheels and create a Patriotic Pinwheel Wreath from the Dollar Store. 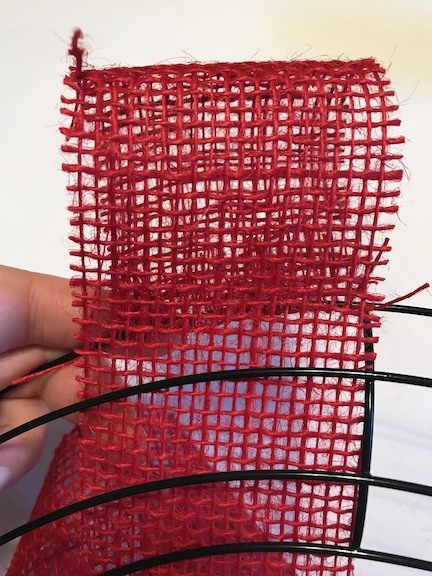 To get started, heat up your hot glue gun. 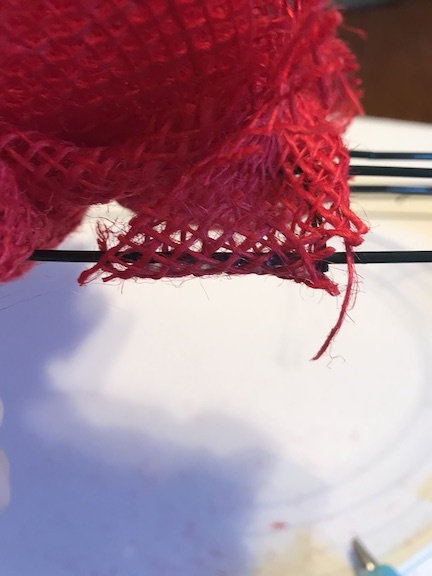 I like to glue the end of the ribbon to the wreath and then create the bubbles. Put a small piece of the burlap ribbon under the outer wreath ring. 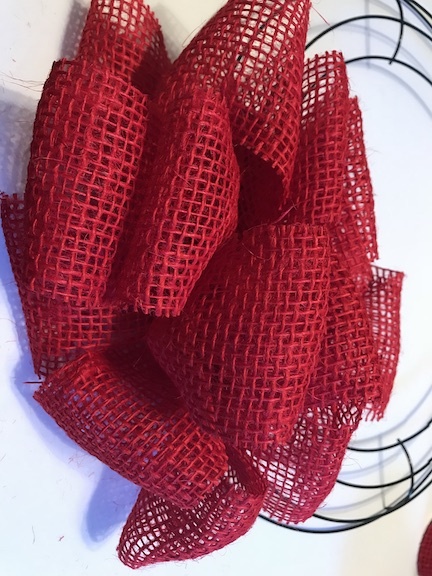 Start making your bubble burlap wreath, by making a loop on the outer ring, then the middle ring, and the bottom ring. 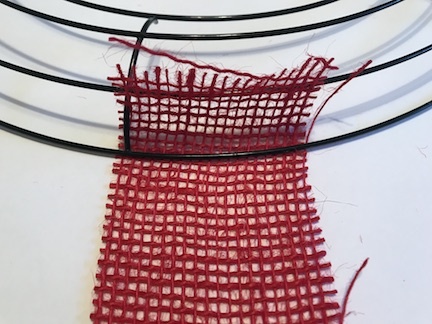 Make sure to make the loops as big as you want them as you make it. Then repeat this for the entire section. 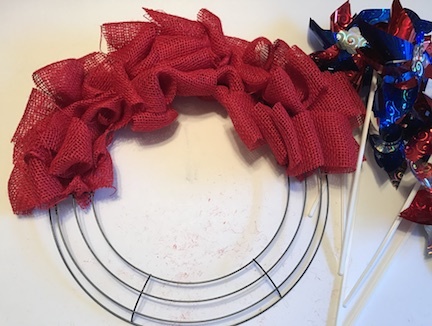 Here’s a great tip- each section of the metal wreath ring, takes one roll of ribbon from the dollar store. So since I did 3 sections of the wreath in burlap, I needed 3 rolls of ribbon. At the end of the section, I like to hot glue the small piece that’s left just like at the start of the wreath. Follow these steps for all 3 sections of the wreath. 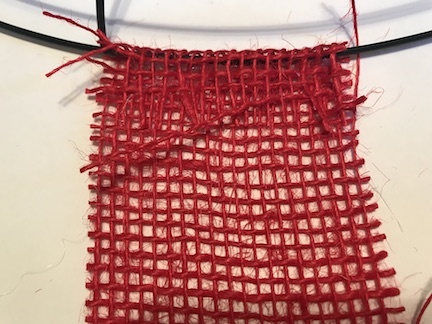 This burlap ribbon does shed so be prepared to clean up a little mess when your done. 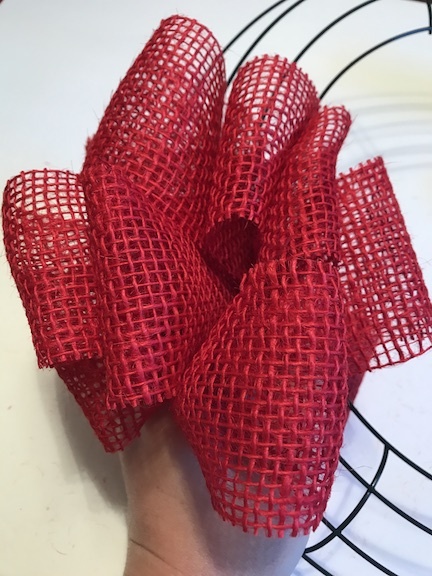 Now I had to take a break in my wreath making because my five year old had taken my floral wire (he thought it was ribbon and he could use it as kite string) during the garage sale a couple weeks ago. Since I was busy, I put it in the garage, but now it’s missing. So I have to take a trip to the dollar tree to get some more. 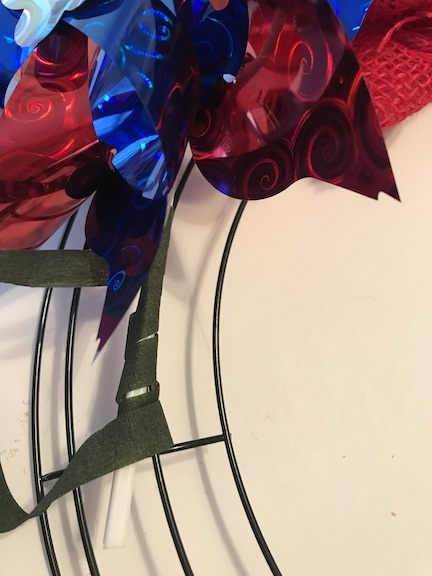 I chose the floral tape and used it to wrap around the stick of the pinwheel and the wreath. 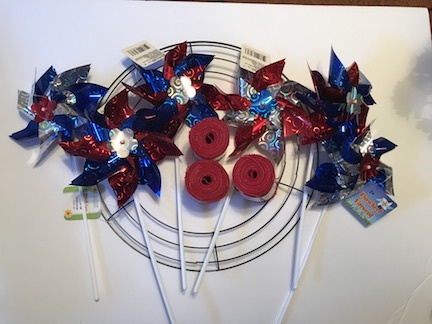 The one thing I wasn’t prepared for was how strong the plastic sticks of the pinwheels are. 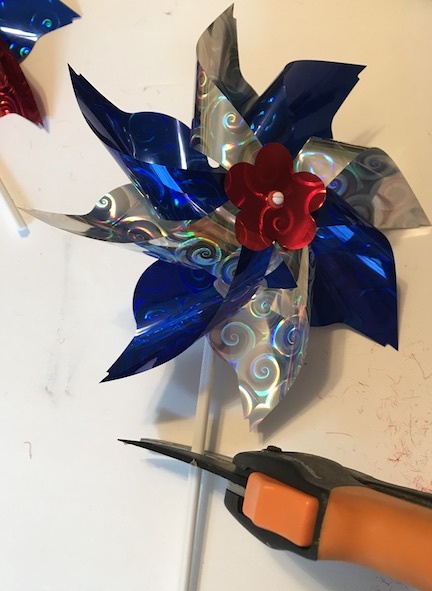 I had to use my garden cutters to cut the pinwheel sticks. 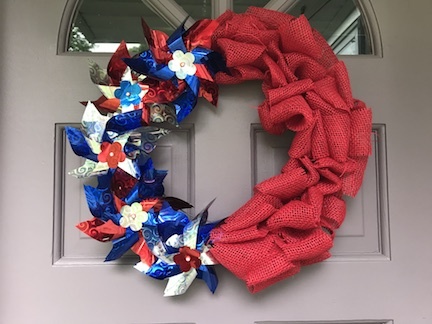 When the wreath was finished, I reinforced the pinwheels with hot glue. 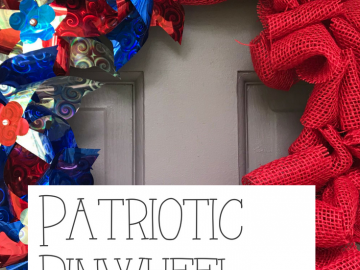 The patriotic pinwheel wreath is fun because you can hang it on the door two different ways. Which way is your favorite way to hang the wreath? I think my favorite is with the pinwheels on the side.